Tonight I decided to tackle cleaning my room. I have traveled a lot lately, which means there are now clothes on ever flat surface, and my floor looks like a war zone of shoes. I of course, tackled organizing my shoes first. So I carefully put them all back into my closet, where they now cover the entire floor. There are 180 pairs of them…well, as long as I don’t count anything resembling a flip flop, any of my boots with fur on them, sneakers, the Danskos I wear to work, and any of my ‘outdoor’ shoes–like hiking boots, rain boots, barn boots….maybe a few others. I seem like less of a hoarder if I keep the number under 200. A huge percentage of my shoes are heels. Everything from a wedge to a stiletto, and from one inch up to six. My shoes are my trademark. I actually was able to get a professor to write my recommendation for anesthesia school because they remembered and loved my shoe collection from my undergraduate, years after I had graduated. See, shoes really can change you life! The downfall to fantastic footwear, is the pain often associated with it. While nothing can take away the fact that heels can be rough on your feet, there are a lot of things that can be done to help! Buy the right shoe. Go shopping in the afternoon, or evening when buying shoes. Your feet swell, and if you buy a pair that fits in the morning, you will be in pain by the end of the day. I almost always buy my heels a half size up from my flat size. Then I also have room to pad and adjust them to my feet. Buying a little bigger really does make a huge difference! Also, walk in them. Stand in them. What seems reasonable when you first put them on might have an awful balance for talking, or a pressure point on your foot. Add some cushion! Put some padding, especially on the ball of your foot, to help cushion the blow. These can also be used to adjust a shoe that is a little on the larger side, and they come in some awesome prints and designs. Who doesn’t want more comfortable heels that look cuter as well! Step above cushion, and add some support. Heels provide little support for the arch of your foot, meaning all of your weight is on the ball of your foot, which is why it starts to burn after a while. Not only is that one small area of your foot carrying everything, but being strained in the process! 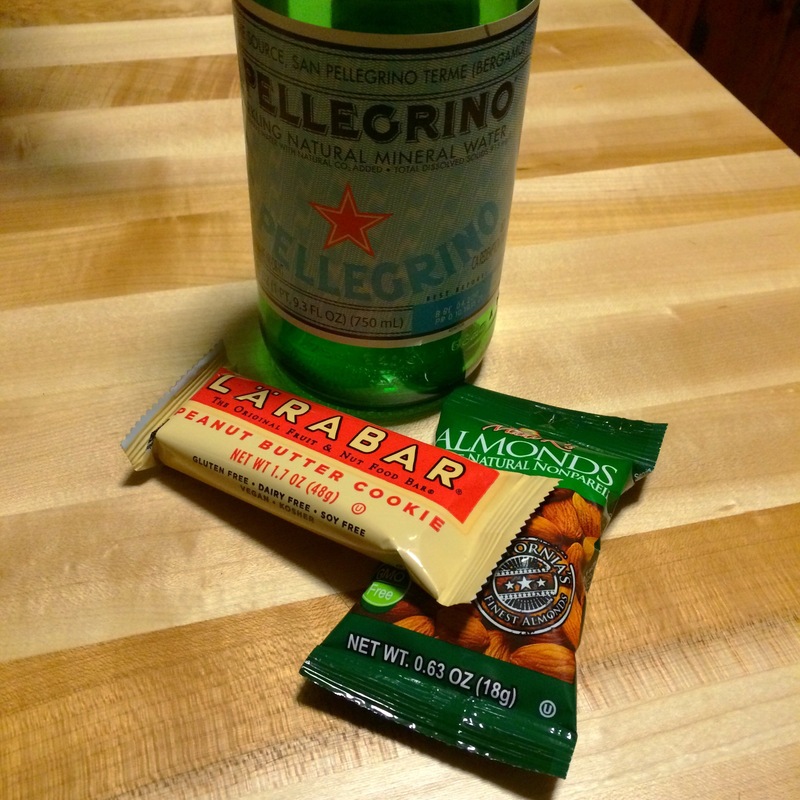 So put something in that will support your arch, which better distributes your body weight. Adding some support to your arch can really go a long way! Dr. Sholl’s DreamWalk for Heels can do this with a little padding, or you can look into just arch supports. 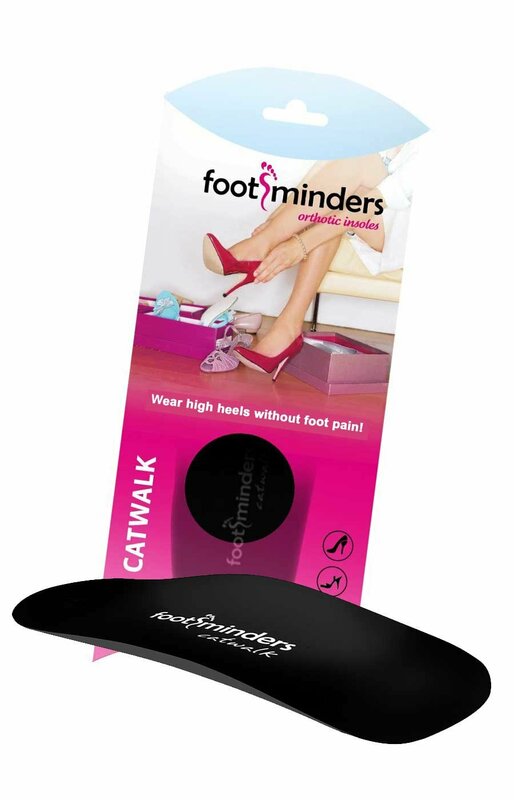 My favorite though, if your shoes allow for the extra room at Footminders Catwalk Insoles. These babies seriously help, and I have one pair I rotate around any time time I think I will be in my heels for a while. Not only do they add support, but also improve your balance, making your heels easier to walk in. The only downside is that they are bulky, and will not fit in all shoes. Pad the heel. I have a pair of heel grips in almost every pair of heels I own! I prevents rubbing and blisters on the back of your ankle, and helps where the tendons come up from the back of me heel fit better in your shoe. They can help if your shoes are a hair on the big side, or have stretched out over time. 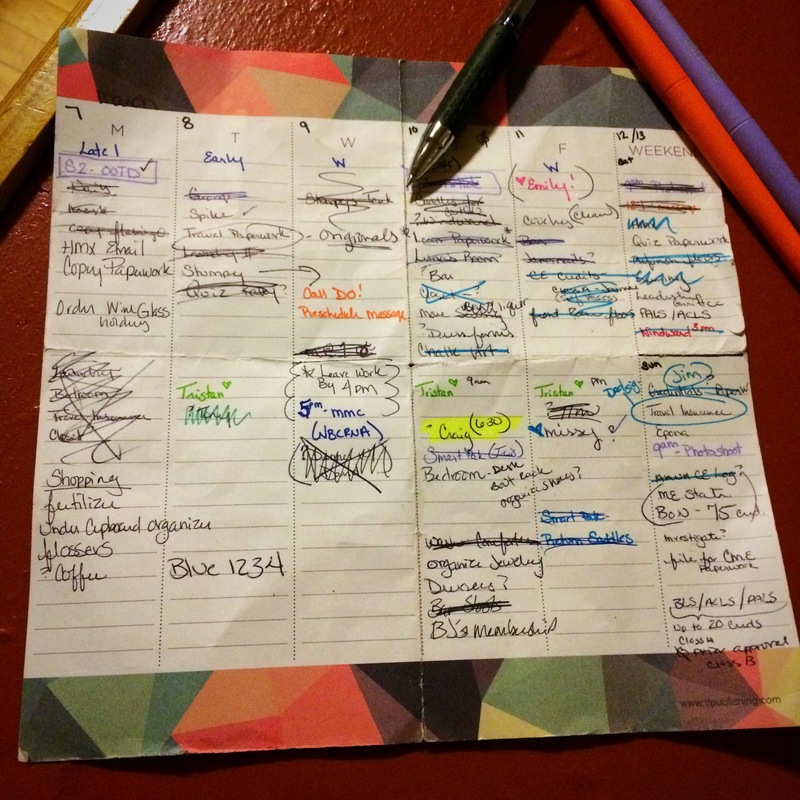 Moleskin is your new best friend. It is a soft, velvety fabric that is sticky on one side. You can get it thin or padded, and it is great for applying to areas where you are likely to get rubs. You can apply it to your foot, but my preference is to apply it to the shoe. You can even by it in strips or custom cut it to place on straps of your shoe! Uncomfortable toe box? First of all, try not to buy it in the first place. Couldn’t resist? Try toe pouches! 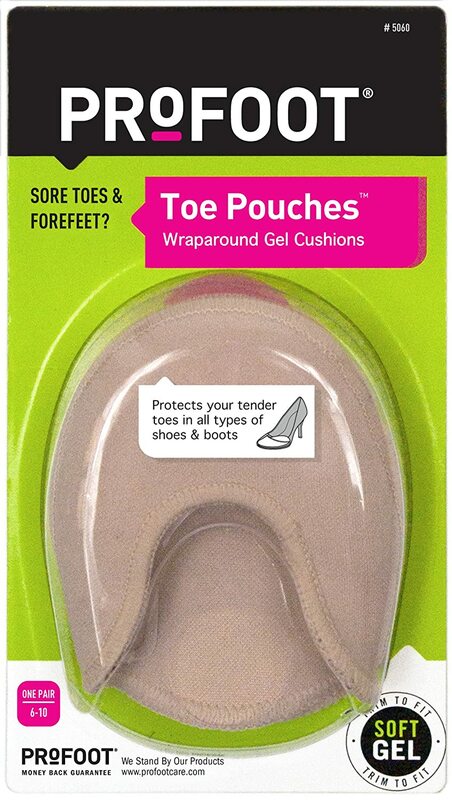 These padded pouches can often times be trimmed down so they don’t show in your heels, but will give your toes some added comfort and blister protection. I have a couple pairs I need to have a pair of these babies on to wear for any period of time. Add Socks to your heels! While, you are absolutely encouraged to do this in an oh so fashionable way, you can also do it with out looking like you are! They sell heel liners, which are thin, and extremely low cut socks to give your feet some relief, which still being inconspicuous. My new love, especially with the chilly Maine winters, are Key Socks! These knee high socks have a cut out for the top of your foot, making them absolutely perfect! Get a grip. On the sole of your foot at least. Shoes can be slippery, making us walk awkwardly, and always struggling not to slip tires out you feet! Scuffing your shoes on concrete, or rubbing with sandpaper will help. You can also get these great grip pads for the bottom of your shoes! My solution? To apply outdoor tread to the bottom of my shoes! A roll costs only slightly more than one set of grip pads, and I can cut it to fit dozens of shoes. 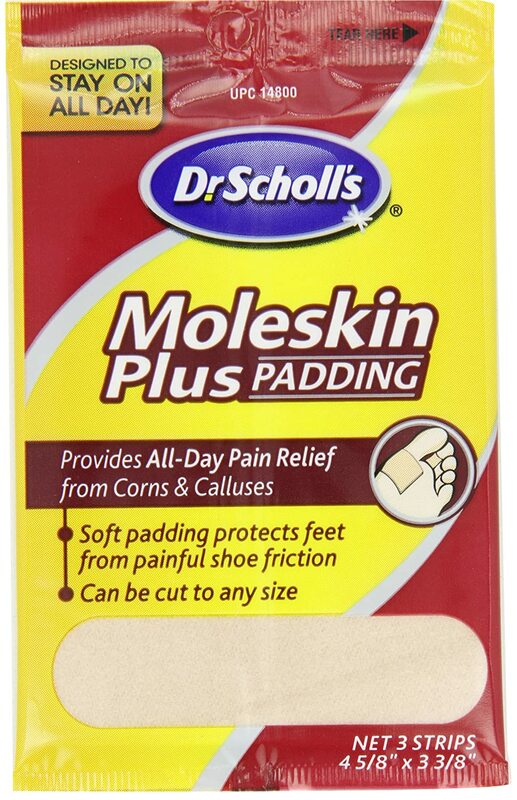 I use a lot of this in the winter when things get icy, people are amazed at how I never slip in my heels! 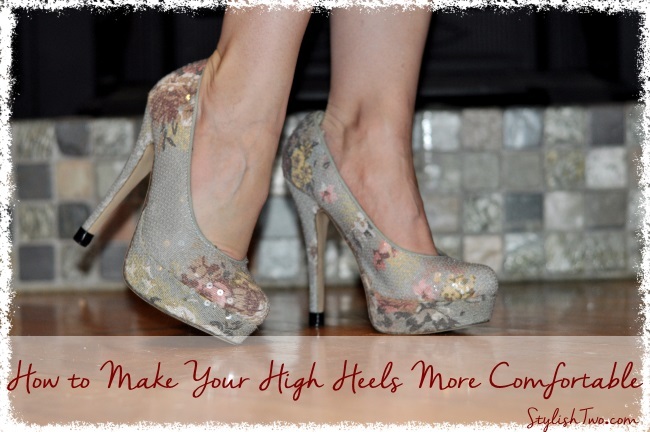 Does your heel always seem to slip out from under you? Or maybe you have just worn out the heelof your beloved heels. Try Clickless Heel Protectors! These rubber caps will not only give new life to heels your have worn out, but also give some added grip and a smidge more width to heels that tend to slip on you! Now, that should be a healthy start on making your heels easier and more comfortable to wear! So get out there and rock those stilettos!